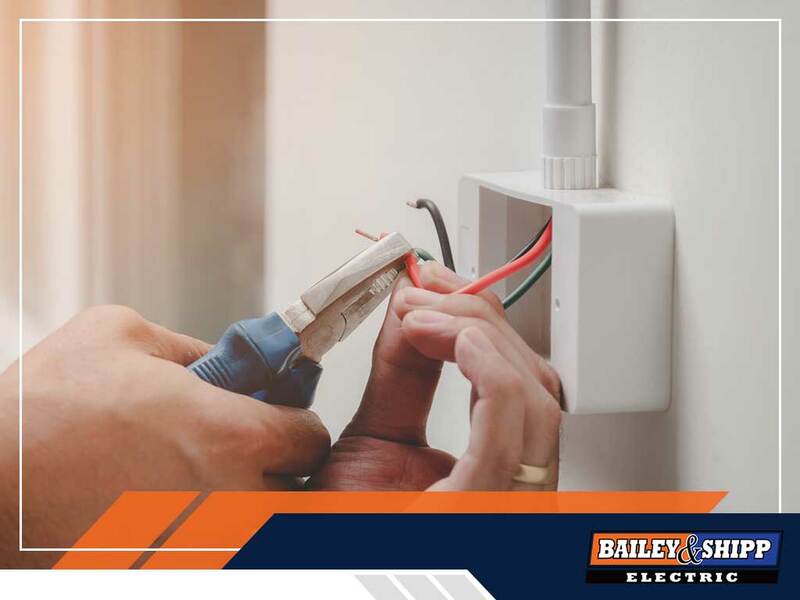 In this post, one of the leading electrical contractors, Bailey & Shipp, guides you in planning the correct placement of electrical outlets in your home. It’s important to know roughly where you’ll be placing your furniture and appliances ahead of time to identify the best spots to install electrical outlets. Make sure to have more outlets than you think you’ll need; it’s advisable to place one every 4 feet in the kitchen and at least 10 feet apart in other rooms. In areas with access to water like the bathroom or kitchen, GF-rated plugs must be used for safety. Place outlets as far as possible from water sources. You’ll need a few more outlets in your kitchen than in other rooms to accommodate lighting and all the various electrical appliances. It’s also good to have a few plugs with higher amperage in some places for your microwave or in case you wish to move your refrigerator in the future. You’ll most likely have a desk in this room, and you don’t want to have to duck under it each time you need to plug in a device. Having your electrician place your outlets slightly above the level of the desk will take care of this issue. Large or heavy equipment and furniture can often be found in the garage, laundry room and bedrooms. Have the outlets placed above the top of appliances like the washer and dryer for easier access, or just below if you want the outlets hidden. Place the maximum number of outlets that your circuit box can safely handle in your garage so you can easily plug in electric tools and appliances like air compressors and vacuums. Only hire trusted and experienced commercial electrical contractors like Bailey & Shipp to handle your electrical projects. Call us at (410) 517-0900 or complete our online contact form. We handle all electrical emergencies 24/7 in Washington, DC, and Northern Virginia.